It is never easy to maintain consistency in Test cricket, due to the nature of the game. To win Test matches, teams have to play their cards right in a minimum of ten out of the fifteen sessions available. One mistake and the game could go out of hand. There are some teams though who have been dominant in winning back-to-back Tests due to an incredible level of fitness and skill present in the team. And even in ODIs, with the number of matches increasing as ever in the calendar year, it is not easy for teams to dominate this format of the game as well. Here are the most number of Test and ODI wins on the trot ever. This was the period in which Australia defended their World Cup title successfully, with Ricky Ponting taking up the leadership reins only a year ago. The team was on a low with Shane Warne banned due to drugs hours before their first game against Pakistan. Besides, Darren Lehmann was banned and Michael Bevan was injured. Yet, they admirably pulled off victory after victory with no team really threatening them in the race to the title, as Australia finished being unbeaten in 11 games of the tournament. Barring that, it was prior to the World Cup that Australia had to complete the traditional ODI tri-series at home playing archrivals England and Sri Lanka. They achieved 6 wins on the trot, coming at the fag end of the series which included beating England 2-0 in the best of 3 finals. Australia were challenged to a certain extent in the tournament, but they completed a fine home summer in style as they won the Ashes 4-1 as well. And after the World Cup, Australia had to tour West Indies for a huge 5-match Test series and 7-match ODI series. They thumped the hosts in the Tests and won the ODI series by the end of the fourth match, although it had two tight games. However, Ponting’s men lost the fifth game and that was the end of an outstanding run of form as they went on to lose the next 2 ODIs as well. Australia incidentally have won 16 Tests consecutively twice in cricket history. This streak was under the captaincy of Ricky Ponting and the Test side had only recently lost the Ashes series in England after 24 years. They were coming under pressure in the home summer as a determined South Africa felt that Australia had become vulnerable. But the team put together an extraordinary run of victories, proving that they were very much the team to beat in Test cricket. South Africa were given a proper pounding by Australia in Australia with the most memorable being a 7-wkt win at Sydney as Ponting became the first man to hit hundreds in both the innings of his 100th Test match, despite a brave declaration from Graeme Smith. Followed by which there was a return trip to South Africa in March 2006. The Proteas had beaten Australia 3-2 in the ODI series, with the last game seeing the hosts chase down 434 against the world champions. Australia were said to be demoralized but critics forgot that Test cricket is a different ball game altogether. Ponting’s men whitewashed South Africa for the first time ever in South Africa, and an away win is always considered special. Damien Martyn was criticized after a poor Ashes series, but fought back superbly to be the architect in the team’s victory and Stuart Clark cemented a place for himself with his terrific bowling. Immediately Australia had a stopover in Bangladesh for two Tests and three ODIs. In the first Test, it seemed that the team was suffering from an overkill of cricket as they were on the verge of a shock defeat to the minnows. But they came from behind to win by 3 wickets. The second Test in contrast, was an easy win but would never be forgotten for Jason Gillespie’s double hundred batting at No.3. Australia’s next assignment was the Ashes in December 2006 to be played at home. This was the marquee series of all, but Australia made it one-sided with an exhibition of cricket played with lateral thinking and fine skill. In the final Test at Sydney, Australia won by 10 wickets to give a fitting farewell to legends such as Justin Langer, Glenn McGrath and Shane Warne. Martyn, the hero in South Africa had retired during the series itself. The Ashes was back in Australia with a 5-0 drubbing of England. But after the retirements of those greats, Australia were expected to struggle against Sri Lanka and India in the home summer of 2007. But amazingly Sri Lanka were beaten in two Tests out of two and India finished second best in the Melbourne and Sydney Tests. But the Sydney Test is one of the most controversial in cricket with poor umpiring decisions to India and Australia were accused of poor sportsmanship, even as Andrew Symonds alleged Harbhajan Singh to be racist. Ironically, that was the last match of the winning streak as India admirably fought back at Perth in the next Test to win and that began Australia’s period of transition. Australia had earlier achieved in this feat from 1999, the year they were crowned world champions in ODIs. In Tests too, there were some clinical performances to be seen, under the leadership of Steve Waugh. The streak began with a one-off Test win against Zimbabwe in Zimbabwe. But then came the much highly anticipated home summer against Pakistan and India. In the three Tests against Pakistan, Australia started off with a hammering 10-wicket win at Brisbane. But then one of the most epic Test matches was witnessed at Hobart, where Adam Gilchrist hit an unbeaten 149 not out in only his second Test match, to win Australia a lost game. A 4-wicket win wrapped up the series but Waugh and co. had no mercy for the Pakistan as the third Test was duly won at Perth, by an innings and 20 runs and a strong Pakistan team was whitewashed. India had to suffer the same misery, as they played Australia next. The manner in which Australia played session after session showed their dominance over an incompetent side which was led by Sachin Tendulkar and only had to get the better of the captain to win the matches. Australia regained the Border-Gavaskar Trophy in comprehensive fashion with the series being Brett Lee’s debut in Test cricket. Two months later, Australia had to cross over the border to play New Zealand in a 3-Test series. Australia won all the 3 Tests to humiliate their Trans-Tasman archrivals at home and that made it 9 in a row with no Tests to play until the gruelling home summer against the declining West Indies, which involved 5 Tests. West Indies were beaten outright in all the five Tests, with Australia posting innings victories in the first two Tests at Brisbane and Perth. 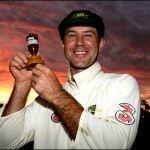 In the third Test, although Gilchrist was made captain in the absence of Steve Waugh, Australia won by 5 wickets. The next two Tests were also a cakewalk for the Aussies, as the demolition job was completed in style at Sydney with a 6-wicket win. Then came the ‘Final Frontier’ in February 2011, which Waugh addressed India as. The tour began with Australia expectedly walking over India by 10 wickets at Mumbai in the first Test. But at Kolkata, fate contrived Australia as VVS Laxman scored 281 while Dravid scored 180 to win India a match after following on in the second innings. It ended the winning streak effectively and the series was turned altogether, as India went on win at Chennai as well to make Australia suffer their first series defeat in three years. South Africa is a tough nut to crack in ODI cricket and they showed the stuff they are made out in a purple patch in the year 2005. They put together victories in 12 ODIs on the trot, and this achievement is brilliant considering some of the oppositions they had to play in this period. England toured the country in the 2004-05 season, and won the Test series 2-1. Not many would have anticipated South Africa bouncing back, but that is what happened as an inspired display of cricket saw them winning the 7 match series, 4-1 despite Kevin Pietersen’s three hundreds. A win in the 7th game is where the consecutive wins originated from. Neighbours Zimbabwe had to come next and they were crushed 3-0 in a 3 match series. But next stop for the Proteas was the West Indies who had won the ICC Champions Trophy a couple of months ago. South Africa achieved a first ever ODI series whitewash in the Caribbean with a 5-0 victory, taking full advantage of a West Indies side in turmoil. South Africa were then back home to play New Zealand. It was thought that the Kiwis would give a tougher fight to the team but Smith’s men pulled off a 4-0 win in 5 ODIs, with one game unfortunately being washed out and as there was no result, it unfortunately ended South Africa’s quest of winning more matches back to back. Although they did win the 5th ODI, and the first ODI of the India series soon after. Pakistan is definitely the most mercurial one-day team of all-time, and the team playing in this period was no different. If they played extremely well, they could easily beat the best in the business. But if they played badly, they could lose as well. Fortunately, this was a period where Pakistan did not have to play high-quality opposition and as a result, kept piling up facile wins one after another. The first game involved in this run, was against India at Jaipur in 2007 where they achieved a consolation win in the last ODI of the five match series. Although Pakistan lost 2-3, they had nothing to worry about as gifts were on their way in the form of home series against Zimbabwe and Bangladesh, the two minnows of ODI cricket. Zimbabwe were the first victims of Pakistan playing exceptionally well at home. They were defeated 5-0 in a 5-match series, with crowds hardly interested in watching one-sided affairs and especially those matches with minnows involved in it. The series against Bangladesh followed, and although Bangladesh had become a much-improved side following a stellar display in the 2007 World Cup in the West Indies, they were no match to Pakistan’s steady batsmen and menacing spin attack, which included Shahid Afridi. Bangladesh also suffered the same result as Zimbabwe. Most of the players took part in the IPL 2008, but after the event, a tri-series was scheduled to be played in Bangladesh alongside the hosts and India. Pakistan beat the hosts comprehensively in the first match of the tournament, before ironically losing to India in the next game which meant that Pakistan’s wins were stopped at the number 12. The kings of cricket in the 70s and 80s, the men from the Caribbean had to feature in this list. They achieved their longest winning streak, of 11 Test matches in the year 1984 making it a golden year for West Indies cricket, which suffered a mini setback after the World Cup final loss against India in 1983. It all started against their toughest competitors, Australia at home. It was a 5-Test series, but the first two Tests were drawn, increasing Australia’s chances of historically winning a series in the West Indies. But the hosts led by Clive Lloyd showed their real mettle by smashing Australia in all the following three Tests and winning the Frank Worrell Trophy in the process with two wins being of 10 wickets and the other one being an innings win. Then came the summer in the United Kingdom where they had to play a resurgent England side. But resurgence cannot beat the prime of a champion side, and that was the story in short of the Test series. In all the five Tests, West Indies beat England and that too in a manner of disdain. England were no match to a side in top form as Viv Richards was destructive with the bat, while the bowlers took full advantage of the conditions. The hosts did show some fight in the last Test at the Oval, but the other four matches had two innings victories and one was a 9-wicket win, followed by an 8-wicket win. West Indies were back in Australia and had already won the Test series by the end of the third Test as Australia were reminded of the horrors they suffered of the previous West Indies tour. 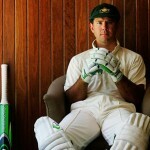 The Australians had to taste their own medicine, i.e, aggression from a fired up side. But they fought back well in the next two Tests, winning the final Test at Sydney by an innings and 55 runs which ended West Indies’ winning streak. The time the Windies achieved 11 Test wins consecutively, was also incidentally marked by the same team winning 11 ODIs on the trot as well. It goes to show their dominance in both the formats of the game then. The tour of England once again comes under the spotlight. In the 3 match ODI series, England had given the champions a run for their money by winning the second match of the series to draw level. Come the deciders and West Indies proved that although they were unsuccessful in defending their World Cup title, they were very much the World’s No.1 ODI team. They thrashed England by 8 wickets to seal the series and it gave them a huge morale booster to perform well in the near future. However, it was in 1985 that West Indies won the rest of their 10 matches. They beat the Australians in their own backyard and that was enough for flames to burst. Sri Lanka, Australia and West Indies were involved in a tri-series but it was only looking evident that West Indies would win the tournament with the flawless cricket they were playing. But one bad match against Australia, i.e, the first of the best of 3 finals finished their glorious winning period; although they went on to win the following two games to take the Cup home. Australia eventually were unbeaten yet again in World Cups. Their performance was reminiscent to that of 2003, with the same captain but an aging team. Glenn McGrath could not have asked for a better farewell in Test and ODI cricket as he not only ended the tournament as its highest wicket-taker but ensured that his country defends the title and wins it for the fourth time in history. Ponting and co. were given not much of a chance to win the championship after losing 2 finals of the home tri-series against England and whitewashed 0-3 in New Zealand. Besides, Brett Lee who was one of the key bowlers in the attack was ruled out of the tournament and the inexperienced Shaun Tait took his place. Yet, Australia began their campaign in style beating pushovers Scotland and Holland as well as giants South Africa in the group matches, the win against South Africa being a huge confidence booster for the team as the Proteas were the closest competitors to stop the Australian juggernaut in the Caribbean. In the Super 8s, Australia might have been fortunate not to play India and Pakistan but they beat all the teams they played ranging from low-ranked but resurgent sides such as Bangladesh and Ireland or higher ranked sides such as hosts West Indies, England, Sri Lanka and in particular New Zealand whom they thrashed by 215 runs. An ideal revenge, isn’t it? A thumping win against South Africa in the semifinals made them the definite favourites to win the final against Sri Lanka at Barbados, which they eventually did courtesy a ‘squash ball’ ton from the out-of-sorts Adam Gilchrist. Australia’s next assignment was a tour of India, a couple of months later right after the T-20 World Cup in South Africa and since there could be no result in the Bangalore game due to rain, it was a full stop to their winning streak which could have extended. Out of the 9 Test wins, 8 came at home while 1 came in Pakistan. Yet, Sri Lanka has to be credited for playing a good brand of cricket to hold such a record. In the summer of 2001, India toured Sri Lanka for a tri-series and 3 Test matches. In the Tests, Sri Lanka won the first one comfortably but India clawed back strongly to win the second one at Kandy by 7 wickets. With the final Test of the series being the decider, Sri Lanka played out of their skins to post an innings victory and win the series 2-1. That played catalyst for much stronger performances to come at home. Bangladesh played a one-off Test in Colombo as a part of the Asian Test Championship. But the nascent Test team were no match to Sri Lanka, which won by an innings and 137 runs despite the young Mohammad Ashraful counterattacking with a surprise century in the second innings. West Indies arrived soon after two months of the Bangladesh Test, but the team had already declined following the retirements of Courtney Walsh and Curtley Ambrose. Despite Brian Lara scoring over 600 runs in 3 Tests, Sri Lanka won all of them which went to prove that cricket is a team game, not an individual one. There were more home Tests to follow, with Zimbabwe next in line. It has to be said that the ICC and the Sri Lankan cricket board did a favour to the team when it came to just registering victories at whatever cost. Zimbabwe were worse than West Indies, as Sri Lanka achieved another series whitewash with two Tests being innings victories. 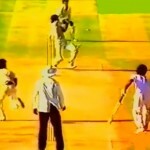 The acid test however, was in the Asian Test Championship finale against Pakistan in Lahore in 2002. Sri Lanka won the title with a crushing 8 wicket win, under the captaincy of Sanath Jayasuriya. However, that was the end of their joyous ride as they had drawn the first Test on the tour of England soon after, going on to lose the next two. The Proteas have been by far the second best Test side in the 2000s, after Australia. So, their name had to feature in this list. They won 9 Tests in a row for over a year, although seven of them were at home. In March 2002, South Africa were devastated to lose a home series against Australia but achieved a consolation win in the final Test of the 3 match series, at Durban. They proved that the world champions were beatable if a team’s intensity remains the same session after session. This began the winning streak and South Africa were helped by the fact that they had no away Tests in 2002, so their next assignment being the home summer against all three Asian teams, Bangladesh, Sri Lanka and Pakistan. Bangladesh were the first to play the Proteas and were expectedly thrashed in both the Tests by innings defeats. Sri Lanka were definitely stronger opponents than Bangladesh, but they suffered the same fate as South Africa proved that Sri Lanka were kings at home and paupers abroad, despite possessing world-class bowlers such as Chaminda Vaas and Muttiah Muralitharan. Sri Lanka also played 2 Tests and lost both. Pakistan were also to play 2 Tests in South Africa since the countries needed to focus on the upcoming World Cup, incidentally in South Africa. But it seemed that Pakistan had no interest in grabbing the golden opportunity of winning a Test series in South Africa, as the hosts thrashed them by 10 wickets in the first game and an innings and 142 runs in the second game. All the three Asian teams were no contest to South Africa, who have to be given credit for their consistency. South Africa returned to Bangladesh in 2003 after the World Cup for a tri-series and 2 Tests, with a new captain in the young Graeme Smith. But that did not make much of a difference as the outcome was yet another series whitewash for the hosts. The Proteas then toured England, and that a draw in the first Test of the series ended their winning streak.